One of my favorite blogs just came out with some updates and a redesign. 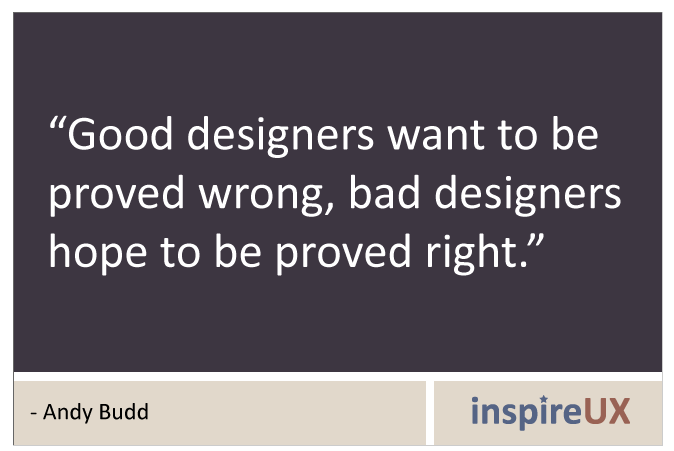 Inspire UX, a blog that highlights quotes on User Experience, Design, and Information Architecture is developed by Catriona Cornett, a UX strategist. Also included in the redesign is an archive gallery and a feature to submit your own quote on the sidebar. It’s a really nice blog to manage noted quotes of UX leaders like Jakob Nielsen, Kathy Sierra and Jeffery Zeldman. Kudos to Catriona. This entry was posted in ui and ux design by jyamasaki. Bookmark the permalink. Thanks so much!! I really appreciate it 🙂 Feel free to submit any quotes you find my way.